One thing I love is a beautiful fruit cake to enjoy with a cup of tea. It’s a wonderful way to cheer up any dreary Autumn afternoon. Soft sweet centre with a crispy topping and fruit in every bite. Seriously what’s not to love? I like this cake plain but the hubby enjoys it with a cheeky smear of butter on it. 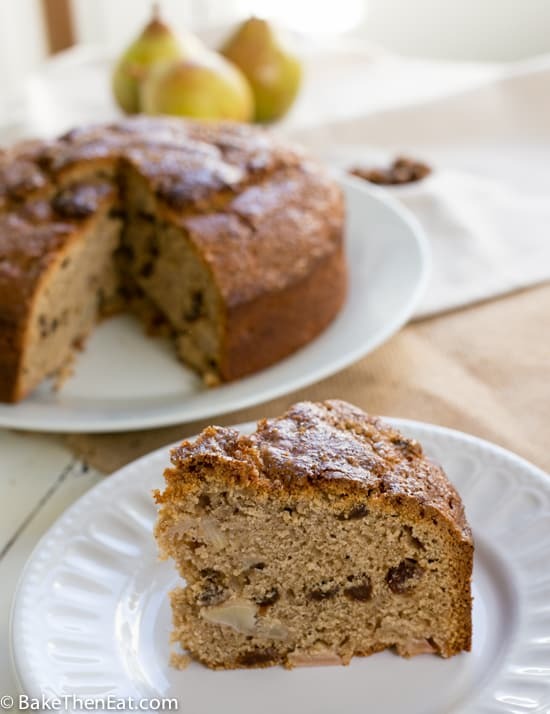 Either way, this Lightly Spiced Sultana Pear Cake ticks all the boxes for a great Autumn bake. One fruit I always feel gets overlooked all the time is the humble pear. I don’t know why? They are sweet and tasty when perfectly ripe. 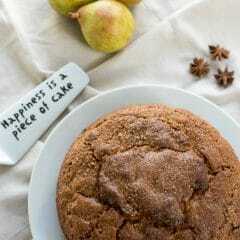 And because pears hold their shape well they are perfect in cakes. This recipe is actually my take on a Dr Oetker cake recipe. Where they use apples and slightly different spices to me. 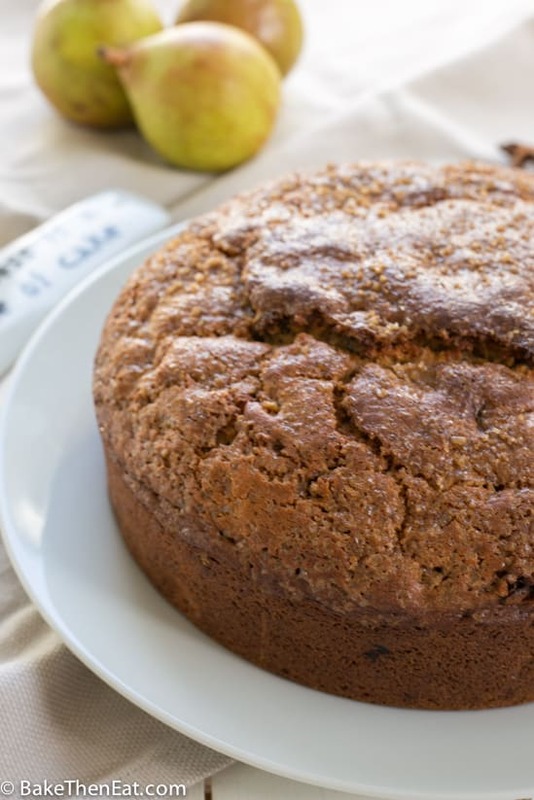 But it is still a wonderful recipe if you fancy giving the original Spiced Apple Cake recipe a go. 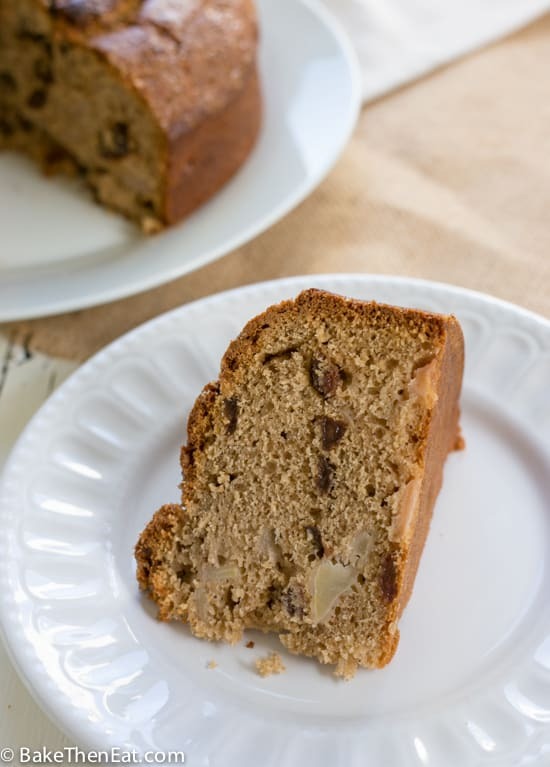 The pears add a lovely subtle flavour and a little moisture to the cake. Each bite has either a sweet pear chunk or a sweet sultana in it, and sometimes both. 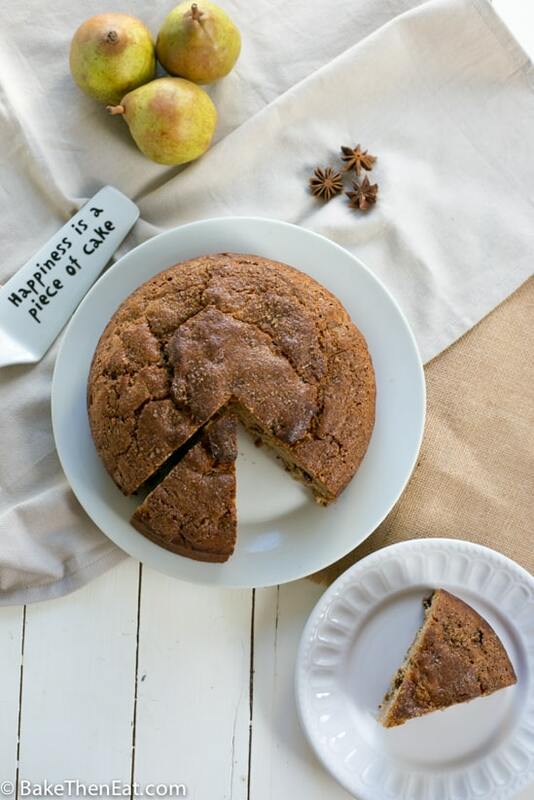 We have a lovely combination of sweet spices in this Lightly Spiced Sultana Pear Cake. The sultanas are soaked in star anise infused milk and the cake has a combination of cinnamon, allspice, cloves, nutmeg and ginger in it. Each spice compliments the others perfectly. The spices are gentle and complimentary in this cake. As I just mentioned I soak the sultanas in milk which has been infused with star anise. I do this 30 minutes before I start making the cake. But if you want a more intense flavour, by all means, infuse them for longer. This is a simple cake to make. 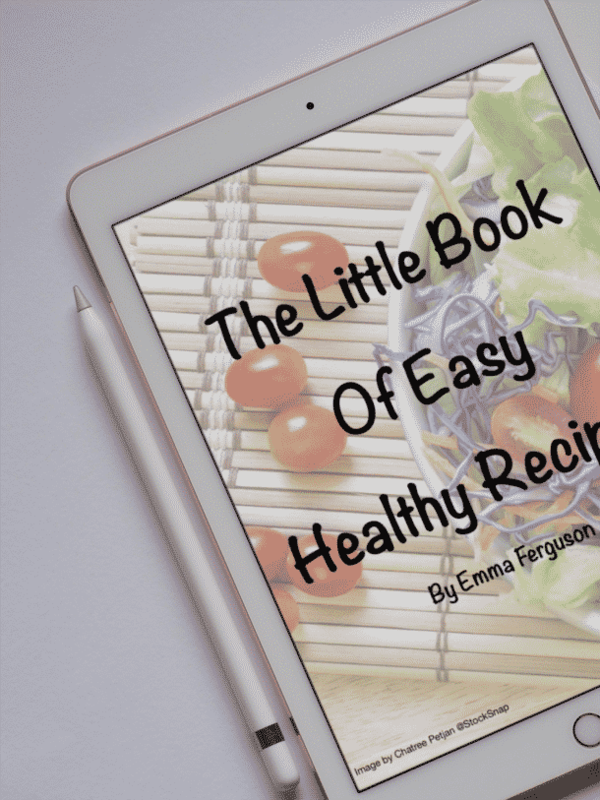 It is a simple case of mixing the dry ingredients together, then adding in the wet ingredients. Finally folding in the fruit and milk and sprinkling coarse sugar over the top and baking your cake. 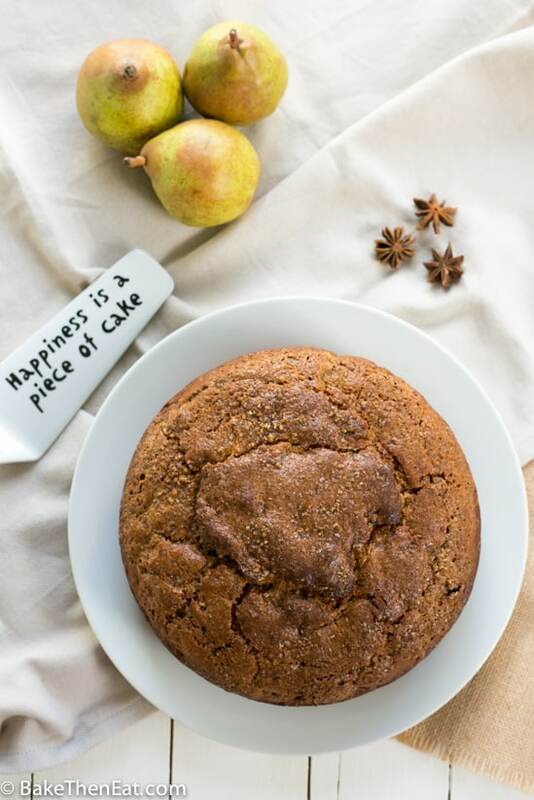 A lightly spiced cake packed full of sultanas and fresh pear. A perfect Autumnal bake. Place the milk in a medium-sized saucepan and add in the 2-star anise. Gently warm the milk over medium heat. Once it starts to steam (don't let it boil) take it off the heat and add in the sultanas. 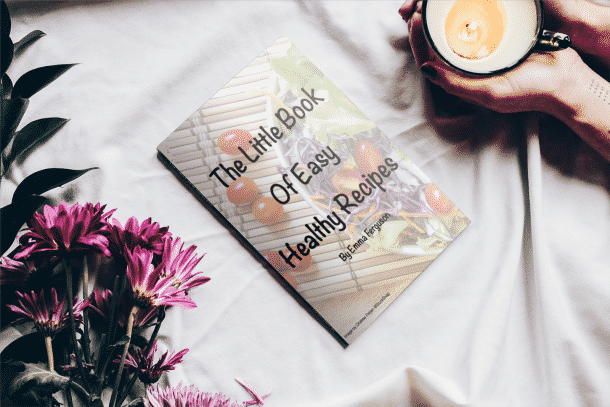 Allow them to soak for a minimum of 30 minutes or up to a day. Once you are ready to bake your cake, preheat your oven to 180c/350F/Gas mark 4 and grease and line an 8inch/20cm tin which is quite deep. Dice the pears and place them to one side. In a large mixing bowl add in the sugar, flour, baking powder and spices. Mix them all together until well combined. Pour in the melted butter and add the eggs and gently mix everything together. Take the star anise out of the milk and sultana mix and pour everything into the cake batter and gently mix it all together. Fold in the pears and pour the batter into your prepared cake tin. Sprinkle the demerara sugar over the top of the cake batter and pop the cake in your oven and bake. Check on the cake at the 1-hour mark, test it with a toothpick by inserting it into the middle. If it comes out mostly clean then it is baked if not give the cake another 10 minutes. Once the cake is baked through take it out of the oven and allow it to cool in its tin for 10 minutes before transferring it to a wire rack to fully cool down. This cake should freeze well, wrap in clingfilm (plastic wrap) and then tin foil. It should keep in the freezer for 3 months. I bet the pear is so delicious in this, I would love a slice with a cup of tea! Thanks, Grace. The smell coming from the kitchen was wonderful. I have made a variety of pear cakes, all starting with Marcella Hazan’s recipe. 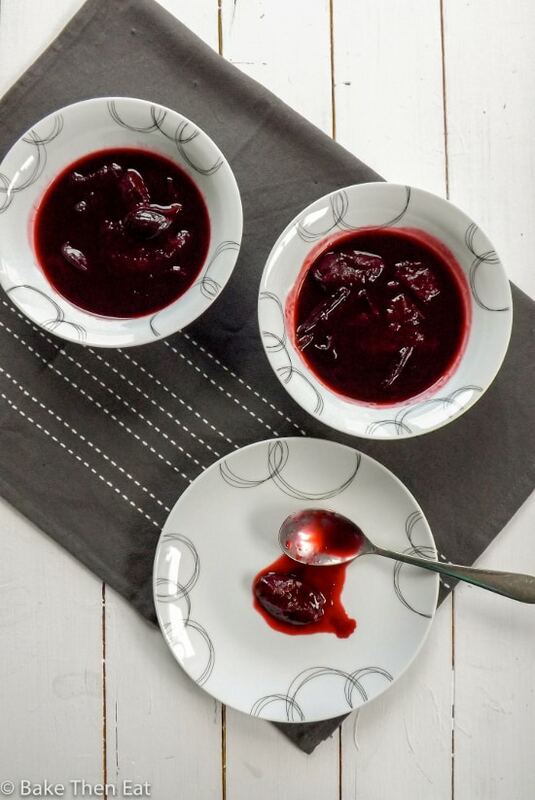 I love the spicing in your version, Emma, and agree we should see more pears used out there! Pears are underused, which is strange considering how tasty they are. YUM! This cake looks phenomenal!!! I want to smell it! HA! I would say eat it but I can’t – but man oh man, I want to bake it in my house and have my house smell as delicious as this looks! It is worth baking just for the smell. My kitchen smelt amazing! This sounds so perfect for fall! I’m freezing cold right now and would love a slice of this with my morning tea :). Have a great weekend, Emma! Beautiful. I used to make chunky pear muffins when my kids were little. Sometimes with raisins as well. The muffins were so moist, so I can imagine that this cake is also. My kind of cake! This cake looks just so good Emma. You know, that is so true about pears, it does seem to get overlooked in baking. 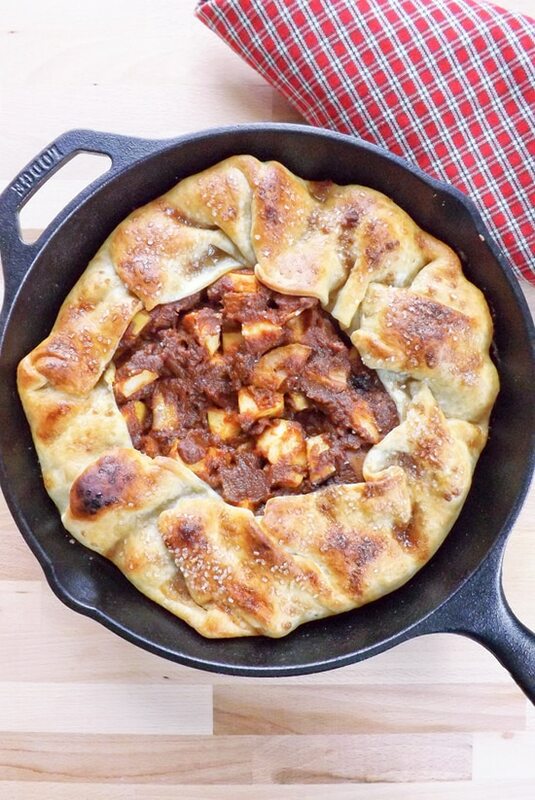 I love how you used it in this recipe, such a perfect autumn or winter bake. I do hope to see more pears on blogs they are a great ingredient. I love star anise! The cake looks wonderful and kinda of reminding me of holiday fruit cakes, only healthier. Love it!